This is a vanity page. This page is a shameless example of egotism and is completely worthless. The author is pretty darn hot, though. You have to admit that. Codeine has awarded you a cookie! 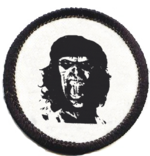 Voted by Elvis, Mhaille, Todd Lyons, Codeine, Caiman, RadicalX, Splaka, Paulgb, BobBobBob, Rangeley, Kikimora, Dawg, Ogopogo and Flammable. 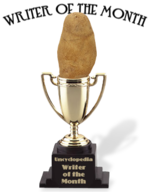 With a record-breaking 14 votes in the face of no opposition, Todd Lyons claims his rightful place as Noob of the Month, and is possibly the friendliest man on Uncyclopedia. When he's not busy leaving 'thank you' messages for people, he spends his time neatly organising Uncyclopedia into an easy-to-swallow form. So we made him an admin to break his spirit and purge that helpful attitude. Voted by Splaka, Mhaille, Ogopogo, Naughtyned, SlainAngel, Codeine, and Rangeley. Rcmurphy has awarded you a cookie! For covering for me this week. Voted by Rataube, Claudius Prime, Rangeley, Mahroww, Winston, Mhaillle, Naughtyned, MoneySign, Guest, Orion Blastar, Clorox, TimeStopper, and Algorithm. Oh great....another award for Todd.....(mutters darkly)....lets all be pleased for him.....(mumble, mumble)..... It's a bird! It's a plane! It's....Todd Lyons! Blasting through his competition, Todd sails to the lead with Richard M. Stallman at his right and OCD in his head. ToddBot2000 by day and Article Mastermind by night, his genius speaks for itself. For your inspired reading of UnNews:Osama bin Laden awarded star on the Walk of Fame, which helped push it over the edge in VFH. Thank you kind sir! For blah blah in the field of blah, Uncyclopedian awards you, Todd Lyons, blah. Blah blah blah blah. User:Crazyswordsman has awarded you a cookie! the removal of not-especially-funny top-quotes. Respect this person. ENeGMA has awarded you a cookie! Witt E, has awarded you a cookie! Featured Why? 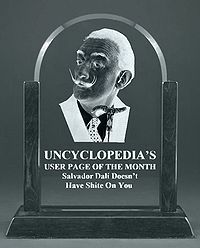 Articles on Uncyclopedia's Why? namespace. This Lifetime Achievement For Total Awesomeness award goes to Todd Lyons for winning almost every award possible. Excellent Work! You are the recipient of the Mhaille Award For Excellence for the month of January 2007. 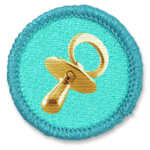 You have received this illustrious medal for your amazing contributions to Der Unwehr. This page was last edited on 25 June 2009, at 12:58.